The property market is seen by many as a barometer of the economy thus ensuring that any news in this sector has a particular significance. Barking Dog Communications provides a wide range of marketing services to companies operating in the property and construction sectors. We know how to take often extremely technical subjects and explain them in terms that our audiences can understand, from the layperson who requires a simple summary to the technology expert who has the knowledge to interrogate at a highly specialised level. Of course we will never know our clients’ products to the level of detail that they do but we do recognise when is the right time to hand over enquiries for our clients to progress. Often we are introducing a product, service or solution to the UK market for the first time for which we liaise with client company personnel in office locations abroad as well as any other key stakeholders including users and customers, academic establishments and even government bodies. 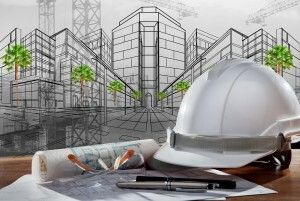 We provide PR and marketing support to property developers, main contractor construction companies and house-builders, ensuring we remain fully conversant with the industry’s latest regulatory and legislative requirements for which our expertise in the environmental sector can often provide a distinct advantage.